Moving from your current home to another can be fun sometimes, but not most of the times. In most cases, you will realize that relocating to a new home is quite hectic, and many people would wish they never move again. But due to some circumstances which are beyond their control, they find themselves in a situation where they have to move again. There is pain when moving, and this is not just about the cost. Packing, loading and offloading can be frustrating. But hiring removal men can help you avoid all the stress. This article looks at some of the ways through which removal men can ease your pain when moving. One would think that packing items into boxes is so easy. There are cases where most people would prefer to do the packing themselves, so as to save on the cost. If you can do all the packing, and do it to your own satisfaction, then there is no problem. But what you need to know is packing items into moving boxes can be hard. Allowing removal men to do all that work for you will save you from back pain. This is because the work involves a lot of bending, and will easily break your back. Putting all the boxes into the moving van is another point where you need removal men. Note that some of the boxes will be quite heavy, and thus you might not be able to load them all by yourself. The men that have been hired by the moving company are usually muscular, and have special tools that will be used to load your items to the truck/van. Also, the men have experience handling the kind of work that you want them to do. This means that they understand how to pack those boxes in the van in a way that optimizes the space. On your own, you might realize that you will have to pack twice, since you might not be knowing how to optimize the space in order to carry all the items in a single trip. This way, the removal men would have saved you costs that you would have otherwise paid for. It might be true that you know where the new house is located, but you might not know the shortest route to reach their. Remember that some of the moving companies will give you a quotation that captures the distance from where you are moving from to the new home. 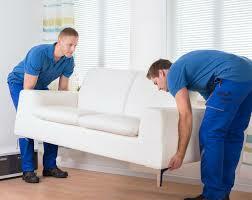 With the removal men, you can be sure to find a shorter distance and thus be able to save on the cost as well. And it is not just about the money, you also need to save on time. With the short route that the removal men know, you can be sure to settle in your new home as soon as possible. You are trying to avoid breaking your glasses and other valuables, but then you are insisting on doing the work yourself, even when you know just too well that you have no experience in it. Hire removal companies like The Unbeatable Removals to handle you items with modern equipment, and avoid the loss due to careless offloading of the items.